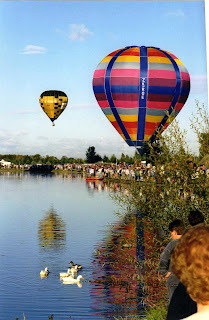 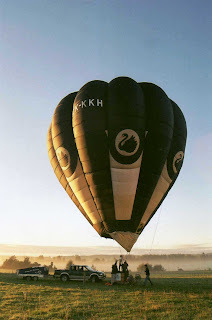 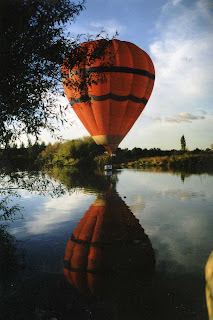 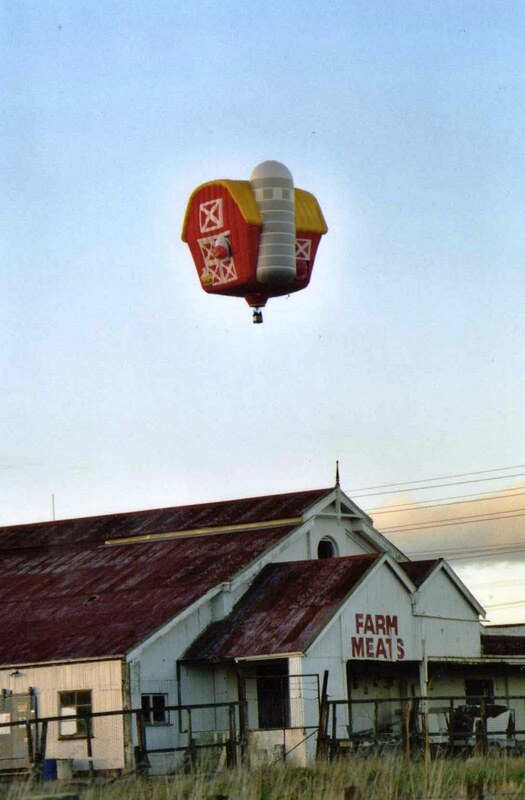 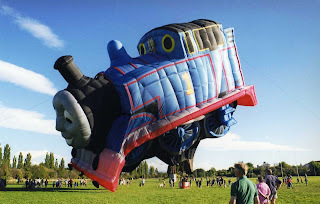 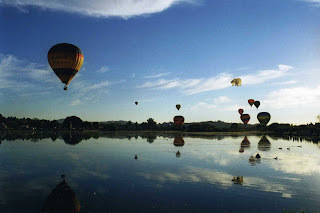 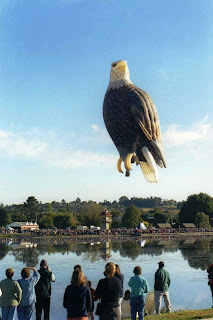 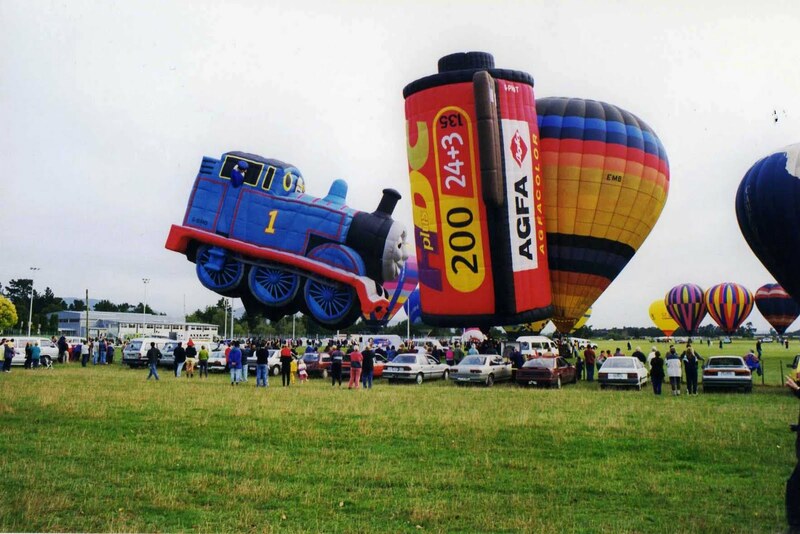 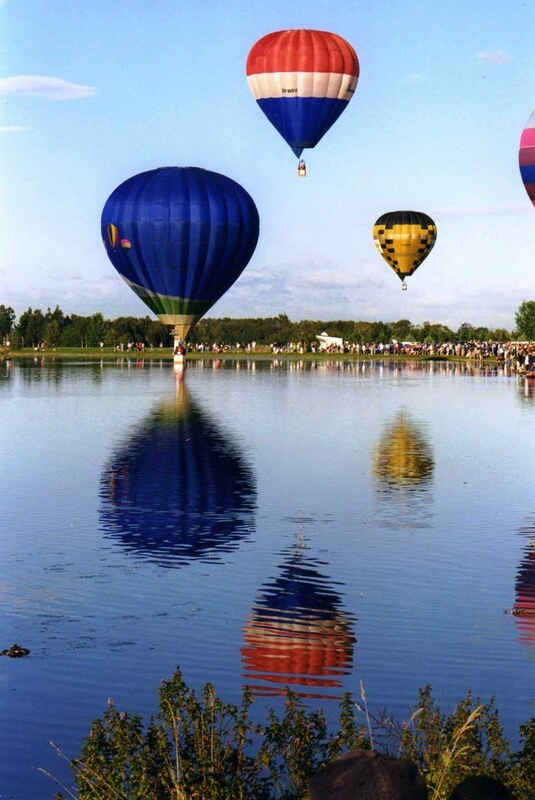 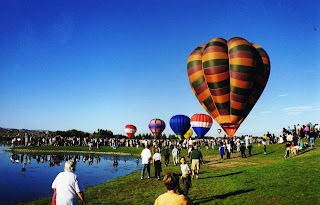 In March each year the Wairarapa (the area that my home town is in) hosts a hot air balloon festival, with different events held at various locations throughout the region. 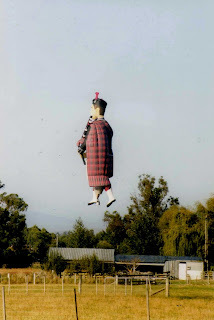 A lone piper soars across the fields. Mark Wilton gets his craft up just over my back fence. The early morning "Splash and Dash" at Henley Lake at the end of our street draws a big crowd. 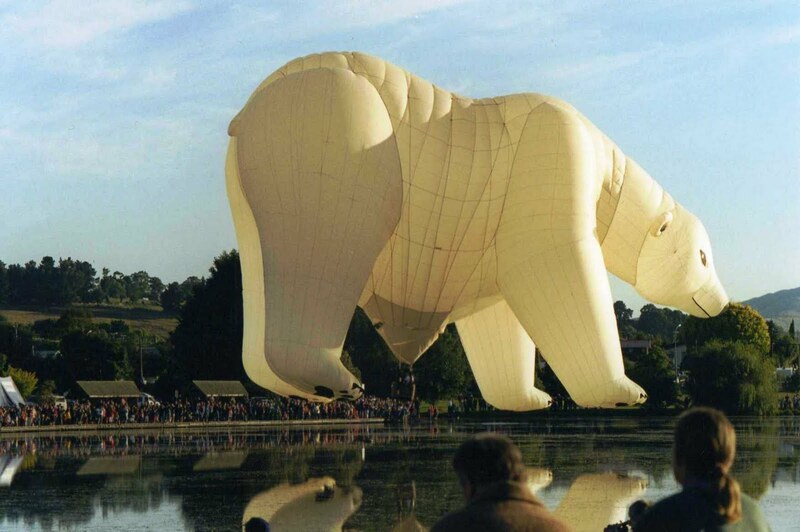 The impressive size of the "Polar Bear" is evident here. The early morning launch at Clareville Showgrounds is also very popular. An alert eagle observes the gathered crowd. A farm barn over Farm Meats.